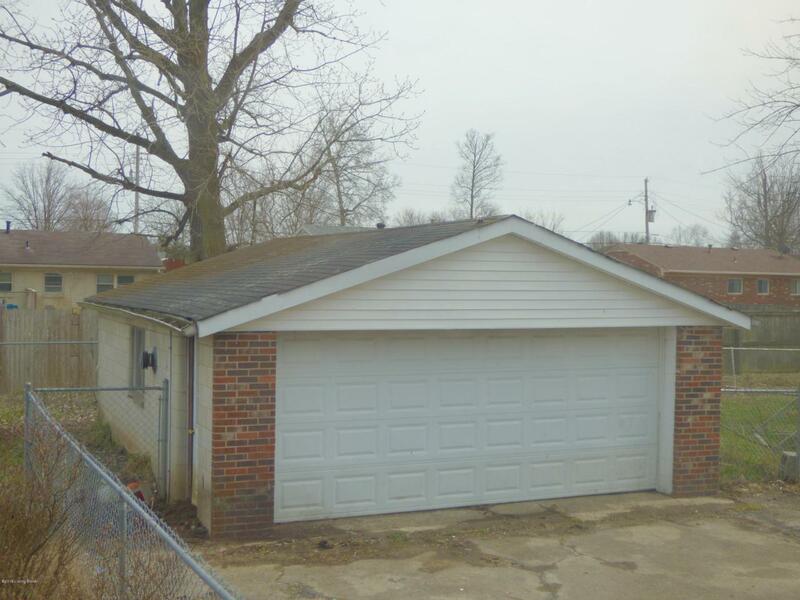 All Brick One Story Home With A BASEMENT & 2.5 CAR GARAGE, Fenced Yard, Hardwood Floors & Appliances! Living Room & Kitchen Are Open Together. 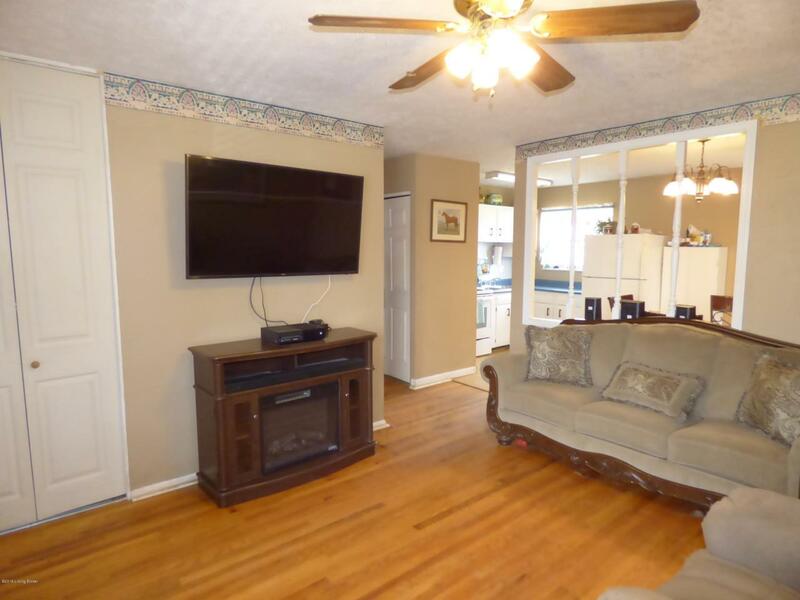 Kitchen Is Light & Airy With White Cabinets and the Kitchen Appliances Can Stay. 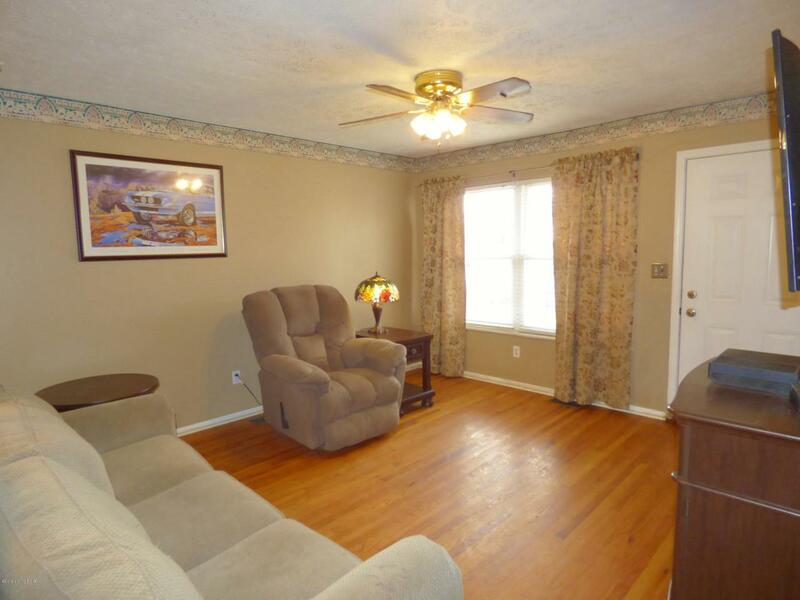 Main Floor Has 3 Bedrooms, 1 Bath, Living Room, Kitchen & Good Closet Space. The Basement Has Drywall On Walls & Ceiling But Currently Doesn't Have Flooring. The Basement Has A Brick Faux Fireplace With Brick Hearth, A Family Room Area, Laundry and Storage Room. House Has Good Bones But Needs Some Sprucing Up. Fenced Back Yard. Nice Block Garage Garage With Double Driveway. 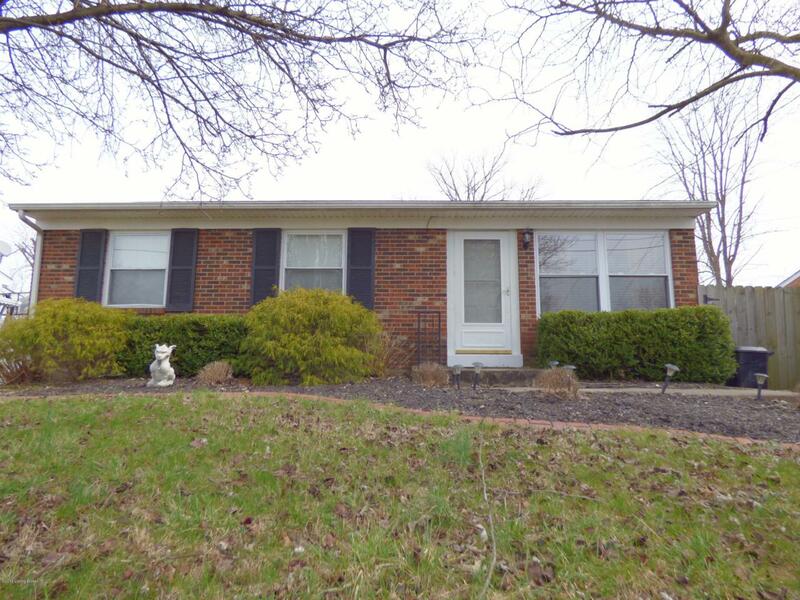 Convenient Location Between Hillview Blvd and Summitt Dr...Close to Preston, I-65 & Gene Snyder. House Has Dog Smell.